I understand and respect Gallipoli’s fairly seminal place in Australia’s history, but I’ve never shared the almost religious attitude that many seem to have toward it. Gallipoli certainly wasn’t on my list as the Mecca that it is for a lot of Australians and New Zealanders. I was a little intrigued, definitely, but I wasn’t making specific plans to go. I did end up going, largely on the basis of an enthusiastic recommendation from an American expat I met in Olympos. (The recommendation was interesting because it didn’t come from an Aussie, Kiwi or Brit, and because it came with the comment that the tours tended to give a good explanation of the Turkish viewpoint on the conflict.) I also went because, well, it happened to be pretty much on the way back to Istanbul anyway, given that I was coming from Selçuk (home to the Greek and Roman ruins of Efes/Ephesus) and Izmir, which are farther down the west coast. 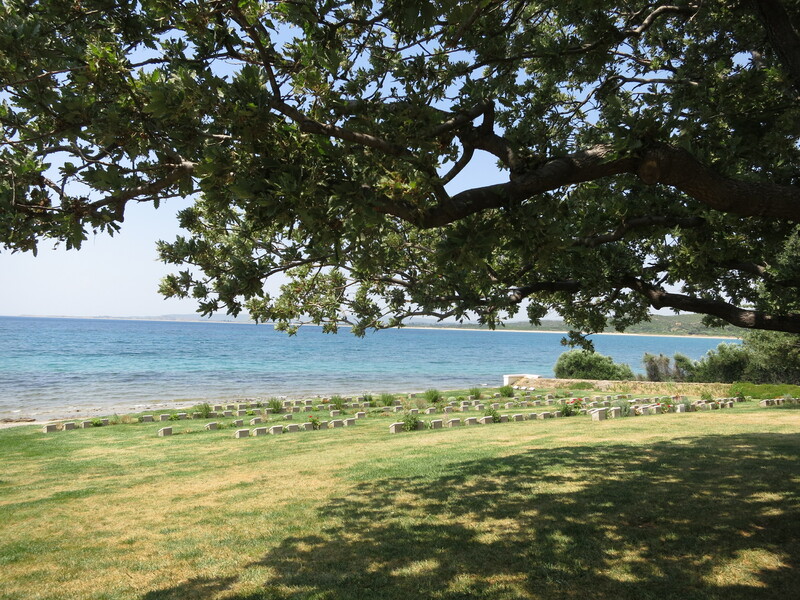 The main thing that surprises you about the whole tour through Gallipoli is how small it all is. 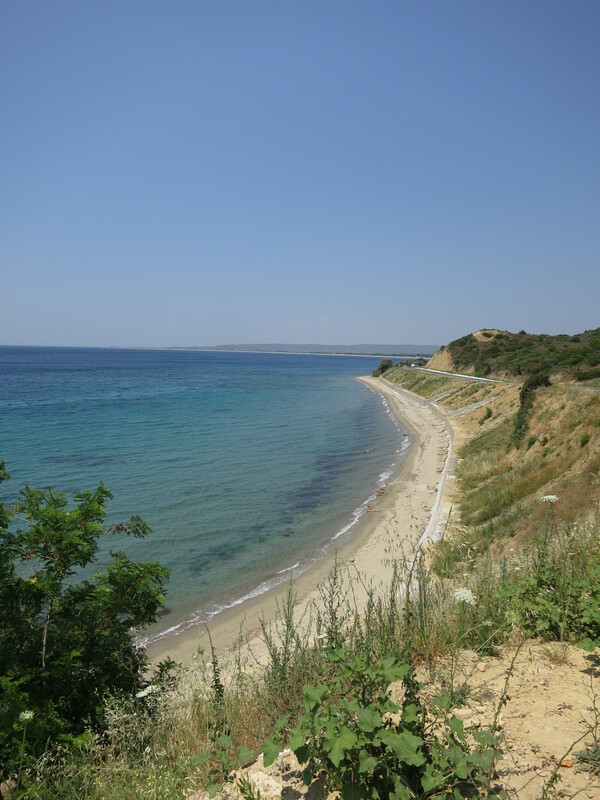 Anzac Cove is tiny. And strikingly beautiful. And intensely hot, at least in the middle of summer when I was there. If it weren’t for the large-scale human slaughter that made the place famous, it would be a lovely stretch of coast for a small holiday resort to set itself up on. The water is clear and inviting, the sun was shining hot in the middle of a lovely blue sky, and the expanse of sand is worthy of some of the better beaches I’ve been to recently. It makes for a strange sense of dissonance to discover that this lovely spot is the location you’ve learned to associate with so much needless death and destruction. Sweating under a cloudless sky, it’s similarly difficult to comprehend the merciless winter conditions that eventually convinced the Allies to abandon the engagement. The other interesting discovery from our tour was just how much Gallipoli features as a nation-building moment for Turkey as well. 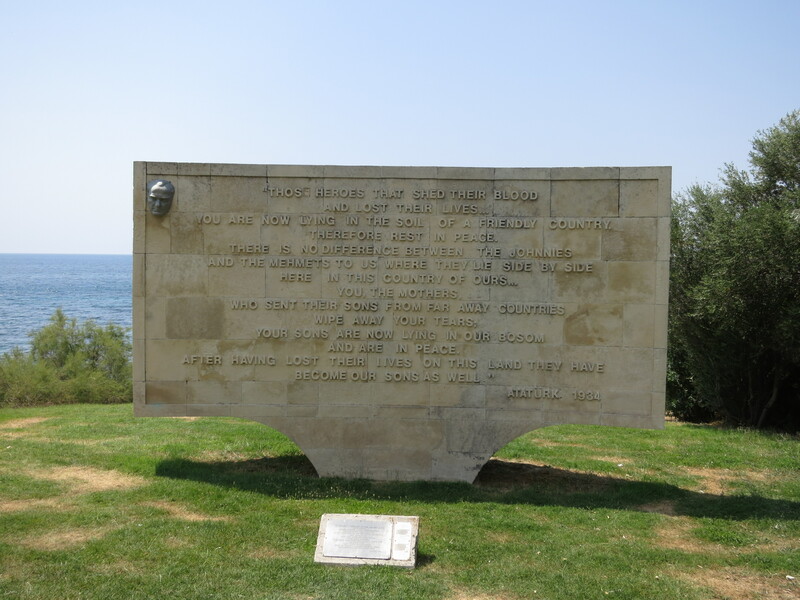 Especially as the place where Mustafa Kemal Atatürk made his name defending the empire from Allied invasion, before he went on years later to found the Turkish state. It’s perhaps somewhat predictable, but also interesting, to hear the different emphasis in the Turkish view of the engagement. Where Australians (and I presume Kiwis) grow up hearing how the Anzacs battled under constant machine gun fire pretty much from day one, the Turks hear of the only 106 men guarding the entire peninsula when the Allied forces arrived (the main forces were farther north, anticipating an attack there), and celebrate their bravery (and luck) holding off the Anzac assault with only single-shot bolt action rifles and not enough ammunition, until reinforcements arrived days later. Where Australians lament that the Anzac landing party found the wrong cove and so were forced to contend with a cliff where they expected a gentle hill, the Turks regret that had the landing been closer to the spot it was planned for, their longer-range gun emplacements would have had an unobstructed shot at the arriving forces. I won’t claim to have come out the other side of my trip to Gallipoli with any greater devotion to Anzac history than I already had. But if you’re in the area, I certainly do recommend going. 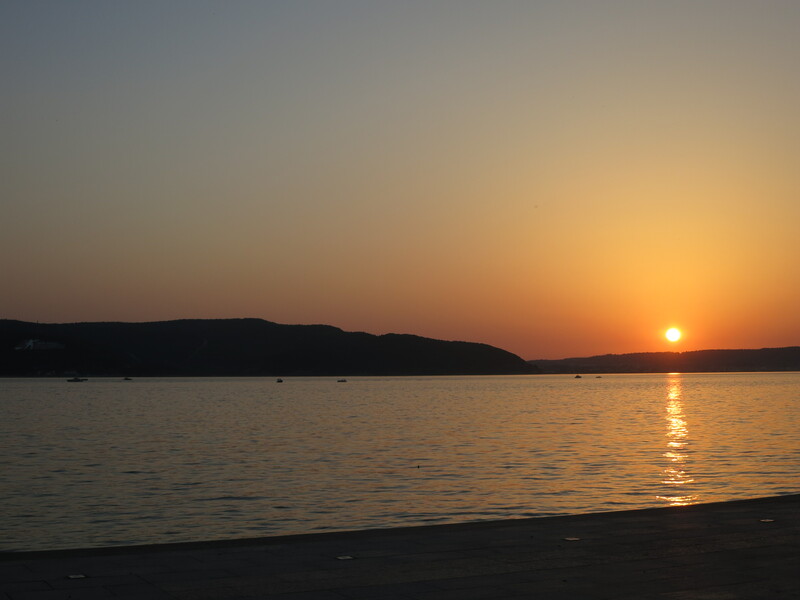 And if you’re staying in Çanakkale (the city next to the peninsula), then spend your evening there thusly: wander east from the ferry terminal along the waterfront, and once you’ve taken the mandatory photo of the Trojan horse (from the 2004 movie), pick a bar or restaurant to sit on the foreshore and watch the sun set over the peninsula and the Dardanelles Strait (over which the whole conflict was fought) while quietly reflecting on the staggering beauty of the place so many people never came back from. This entry was posted in Travel and tagged turkey by Sam Roberton. Bookmark the permalink.